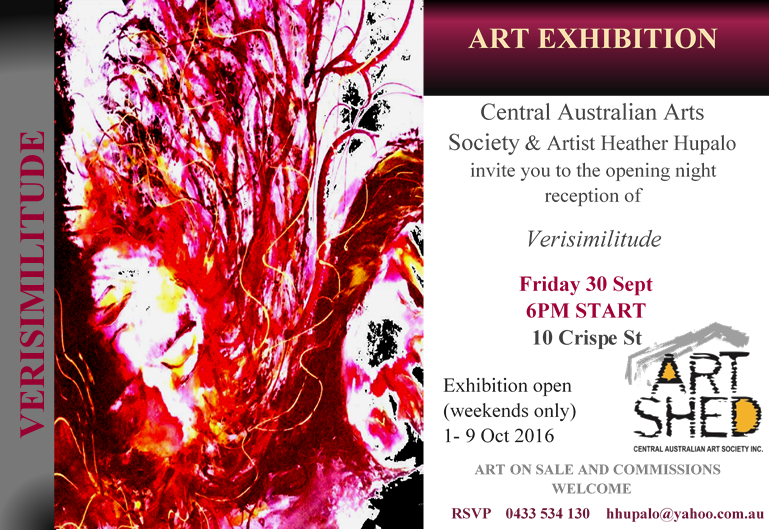 September « 2016 « Central Australian Art Society Inc.
‘Verisimilitude’ exhibition – Opening 6PM Fri. 30th Sept.
Local member-artist Heather Hupalo provides an opportunity for a unique visual diversion with her one time and first solo exhibition. 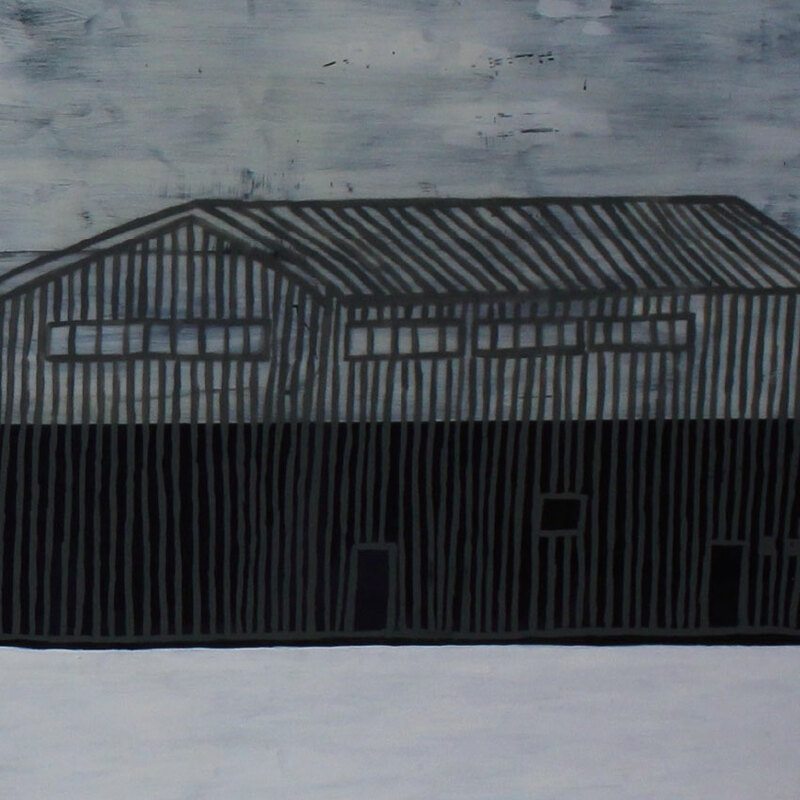 Enjoy the eclectic and diverse collection with expressive and vibrant works. 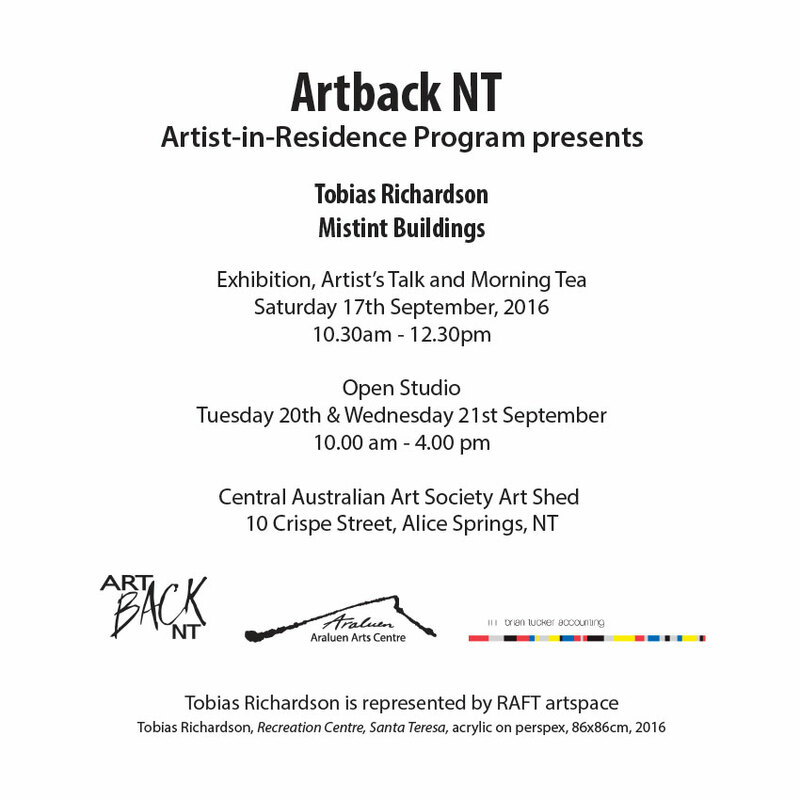 Drinks and nibbles available at the opening night reception. Please join us next Friday evening!